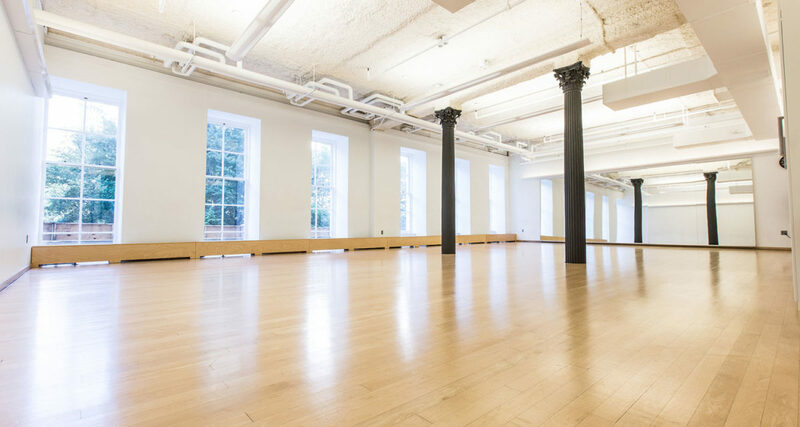 A stunning and well-lit space with six large windows overlooking Chambers Street and City Hall Park. This versatile space provides a beautiful and peaceful backdrop for somatic practices, or an architecturally interesting space for events. Use of shoes prohibited. Studio D’s three, centrally-located Corinthian columns give the space a classical and memorable look. Although they can be obstacles for large dance classes, our renters have found creative ways to use this space to work and move around the columns. 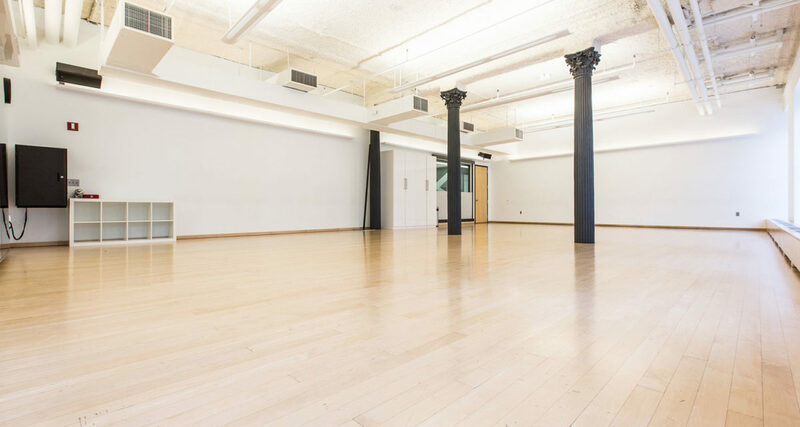 Studio D has housed stunning performances and showings framed by the columns; yoga, pilates, and somatic classes; stage combat classes; and a wide range of parties and events.